First and foremost, I need to give some personal thoughts on my blogging experience over the past several months. I initially started blogging on Tumblr, but that seemed just to fade into the night for two reasons. First, I did not have a writing directions. Secondly, I did not like the ecosystem that Tumblr provided. As a result, I let my blogging life go. However, I do not remember how, but I heard about WordPress and checked the platform out. Simply, everything about it is a complete 180 from Tumblr, which helped sparked my interest. In addition, what kick-started my desire to begin blogging again is that I felt I need to write on various topics I know about and make it available someone. So, these two variables are the main reasons why I got started blogging once again. I was intent on two things when I made the decision to start blogging again on WordPress again. First, I was I made the decision that I wanted it to be fun blogging on topics I knew. Second, I wanted it to be personally fulfilling as well. My whole blogging experience has not only been totally fulfilling, but it has surpassed any and all expectations I have had. I have been blessed with the many subscribed readers that have been faithful in reading everything I have posted, and have made several positive comments to me through various means. To them, I have to say simply thank you, and say that every one of you are appreciated. The one aspect that has been something I could never have dreamed has been the opportunities I have had to write several guest articles. I have been blessed to write for Reagan Coalition (political news) and Walk Good (a Christian marriage and apologetic ministry for Josh Fults). These opportunities have truly been nothing less than what anyone can expect. They have and are truly a blessing! The links to these articles can be found on my blogs Guest Article’s page. Please forgive me for my little introductory rant for this post, but it seems beneficial as I sit here writing it. The purpose of it was to convey the honor I have received by Josh Fults asking me to complete a guest post for his blog Walk Good once again. The first time he asked me if I wanted to write a guest article, I first thought “Are you kidding me?”…. Then “Why ask me?” “I don’t know anything about what you cover.” I certainly was humbled and honored by his offering. And blessed with the opportunity to write a guest post on a topic I could choose for myself, which ended up being on Man’s Innate Desire To Worship. I certainly felt out-of-place to a degree writing this first article for Josh, and defiantly never expected him to ask me ever again to write a guest post for his blog. But guess what? He has done exactly that! Once again, I felt amazed and honored for the opportunity with no idea what I would write about. 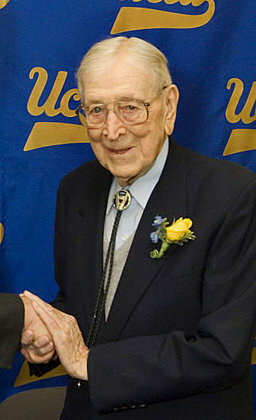 I have a goal to one day have something in common with Coach Wooden, but it is not related to his coaching success. Rather, it is his passion and love for a particular book. I hope you will visit Walk Good and give the article The Wizard of Westwood a read.